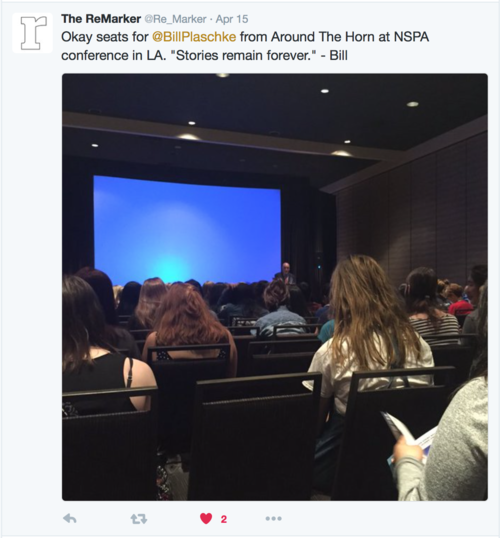 Journalists today have complete freedom in their work when it comes to the constantly-updating nature of web journalism and online storytelling. Although our school administration does not allow The ReMarker to produce online news, we have found several ways to tap into the benefits of web-based content, and in doing so, I've found the web can help further reader engagement in stories. By using social media applications like Instagram, Facebook and Twitter to create and distribute colorful photos, teasers and videos, we've been able to promote the release of certain projects while providing additional, timely content to our readers after print day. Ever since learning programming languages such as Java, Processing and Scratch in AP Computer Science Principles, I've additionally been able to apply my computer science knowledge to create customized and aesthetically pleasing online coverage with the help of a host site such as Squarespace. After finishing the production of the February 2017 issue of Focus Magazine, there was simply too much content to fit within the space of our 32-page magazine. To solve this, I applied my knowledge of coding to customize a website encapsulating and building from the magazine. All photos and quotes not published in the magazine were displayed in a comprehensible and timely manner for readers online. And when the print issue released Feb. 3, the website went live to the community — sparking buzz about our expansion into web design. Because of the overflow of content in the November and February issues of Focus Magazine, I realized we could still offer very timely and relevant content to our community through social media. This form of web journalism allowed me to shape graphics, audio, video and text in each post instantaneously. And by incorporating the design elements and theme used in each issue, we created photos and videos that could be accessed without a physical copy of the magazine — while still maintaining the overall feel we wanted the magazine to have. Click on the photos and videos below to be redirected to the Instagram post. As one of two teasers two days before the magazine's release, readers were told to look for Williams's story on Page 12. For another teaser two days before the magazine's distribution, we somewhat mysteriously used this unattributed quote from Restland Funeral Home general manager Mike Day. In addition to the Instagram account, we extended our web content to Facebook as well — a platform more suited to be picked up by Dallas citizens outside of our school community. Because of this, the reach for some of our Facebook posts have peaked at around 3,500 due to the timeliness of the posts. We released the post shown below while Black Lives Matter debates remained at the forefront of Dallas conversations, and with this timely extension of the magazine, the post received a high amount of shares from Facebook users across the area. This increased circulation of timely content was one of the main reasons I initially decided to venture into online journalism. 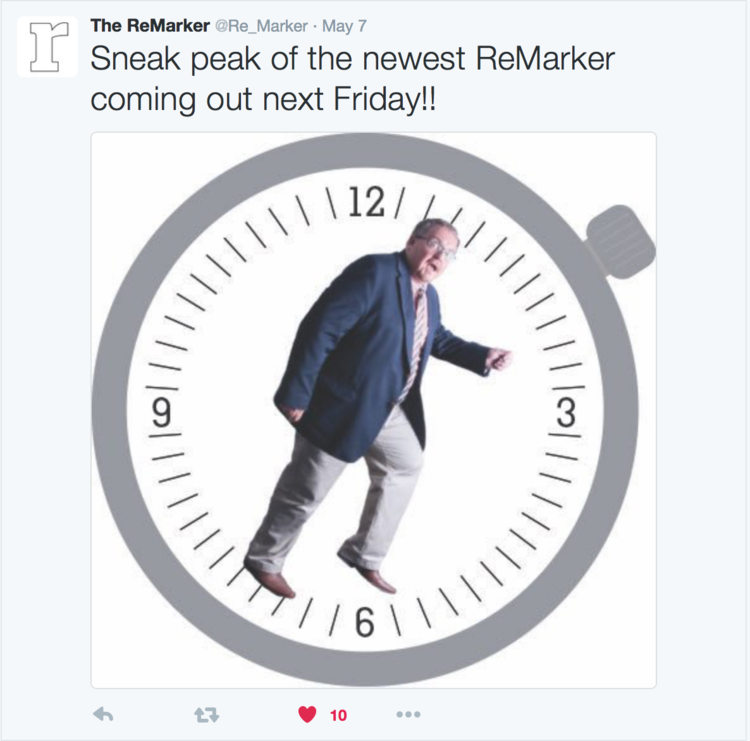 While Instagram and Facebook provide great avenues for creative web content, The ReMarker uses Twitter as a more instantaneous, news-based platform for our community. 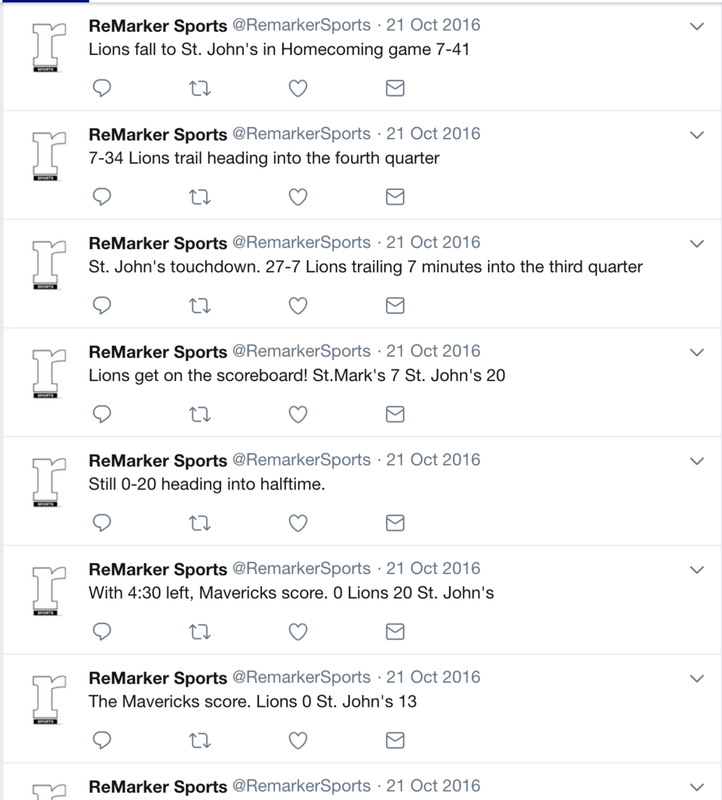 Whether it's communicating print dates or delivering sports news and scores, here's a look at The ReMarker's so-called "Twittersphere." After we recorded and edited the audio for my first Focal Point podcast episode, I was faced with the challenge of how to distribute it in a timely and accessible way for our listeners. So, I communicated with Apple, submitted our first episode to iTunes, and received approval to publish the content on their online store and their IOS app, Apple Podcasts. Now, a large majority of our listeners have easy access to the podcasts through iPhone and computer applications. Accessibility is fundamental to the success of Focal Point, and from here, Apple's platforms have allowed us to further customize, edit, distribute our content on the web. Click here to see our podcast's web page. To read more about Focal Point, see multimedia broadcast.